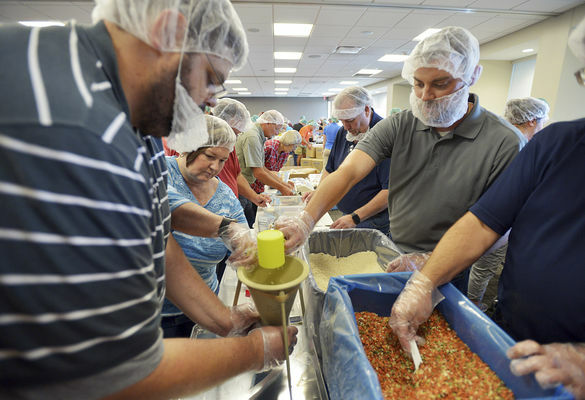 BENTON HARBOR — Erich Kirchner spent his Friday at work packing rice and other amenities into boxes. 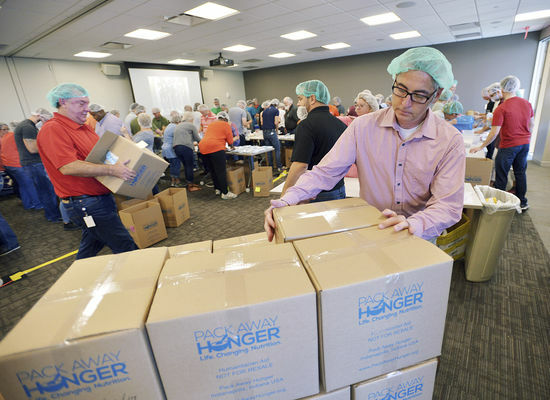 Kirchner and more than 170 other Whirlpool Corp. employees at the Riverview Campus in Benton Harbor were packing nutritional packets of nonperishable food into boxes for Pack Away Hunger. 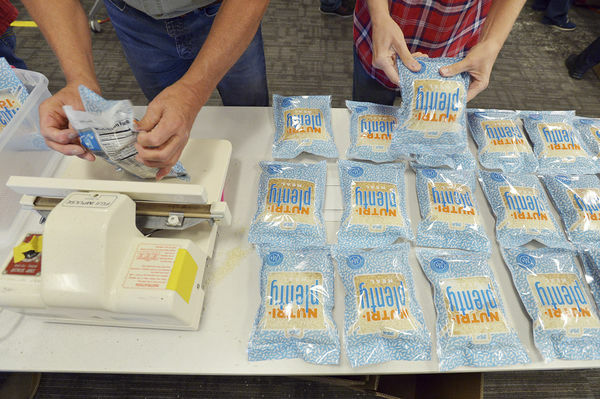 The process required groups of workers to pack items in an assembly line using a Whirlpool model known as continuous improvement.